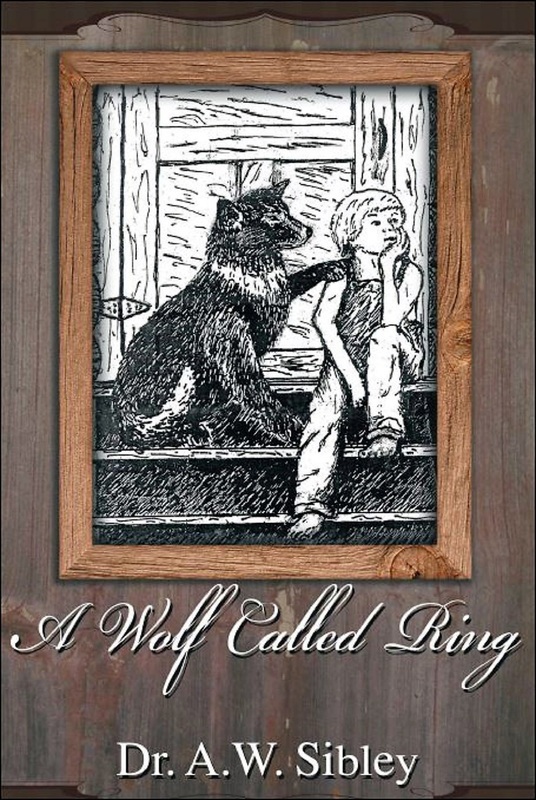 Dub Sibley, a farm boy growing up in pre-WWII Louisiana, raises a half-wolf pup and names it Ring. The black wolf-dog with the white ring around its neck becomes Dub’s best friend, and together they work on the farm, explore the woods nearby, and hunt for squirrels and other animals that are vital to the Sibley family’s survival. No one understands the bond between the boy and his dog, not even Dub’s parents or his sisters and brother. When Ring’s talent for hunting and treeing squirrels shows up a wealthy rival in a well-publicized contest, the rival wants more than revenge: he wants to own Ring. But Dub isn’t selling his prized dog, no matter what the man offers, because Ring isn’t his possession—he’s Dub’s best friend. The wealthy man finds he must use other, illegal means to ensure the wolf dog never again hunts for anyone but him. ​Finding himself a prisoner, alone, confused, and far from home, Ring the wolf-dog must seek a means of escape so he can head back home to his friend, Dub. His cross-country journey from his kidnapper’s home in Massachusetts to Dub’s farm in Louisiana will be long, arduous, and filled with challenges that only a wolf can survive. Does he have the strength and courage it will take to find his way back to Dub? Along the difficult trek, Ring must decide whether to be a dog or a wolf—and his decision will affect not only his own survival, but also the life or death of the she-wolf he meets along the way.